Visitors who come to Sedona year after year will tell you that each time they return they come upon something new; be it a part of town they hadn't explored, a gallery they'd failed to notice, or a local hang out like a coffee shop. 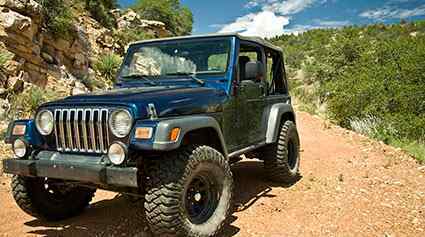 The town can be broken into four areas: Uptown, West Sedona, the Village of Oak Creek (located five miles down Highway 179) and Oak Creek Canyon. Uptown is where all the touristy shops are, West Sedona has the grocery stores and shops that tend to cater to locals, and the Village has an independent flare of its own with some great restaurants and close proximity to Bell Rock where there are plenty of hiking and mountain biking trails. Oak Creek Canyon has cabins, bed & breakfasts and other gems to discover. The best way to get a feel for the layout is to take a scenic drive. If it's early in the day, we recommend following 89A as it winds up through Oak Creek Canyon. USA Today rated this drive one of the most scenic in America. From Uptown the highway rises two and a half thousand feet throughout the twenty-two mile drive until it tops out at the scenic rest area on the Colorado Plateau. The last mile is crowded with switchbacks so be prepared and try not to get dizzy. The Western Canyons are perfect for sunset drives with paved road that extend all the way from 89A where you pick up Dry Creek Road and follow signs to Boynton Pass. You can turn around at the Doe Mesa trailhead (just before the road turns to dirt). The Loop Road is another scenic road that turns off 89A and has fantastic views of Cathedral Rock with plenty of pull-offs to stop and take photos. Just keep on the road and eventually it will connect back with 89A a bit closer to Cottonwood. The last ride we recommend is the recently redone Highway 179. From the roundabout where 179 begins you can follow the scenic drive all the way to the Village of Oak Creek and get a glimpse of the numerous galleries that line it. You'll also pass the Chapel of the Holy Cross on your left. If you don't feel like driving, you can always catch the trolley. At the Sedona airport you'll be treated to unobstructed views of the sunset. If you're looking for the best, local favorite hike - West Fork Trail is hands down the most scenic and adventurous hike. It's not difficult, but there are some tricky parts to it where you might need to float your hiking packs as you cross waist deep creek water. It's the most beautiful during the fall. The leaves are vibrant, the air is cool, and the red rocks glow. 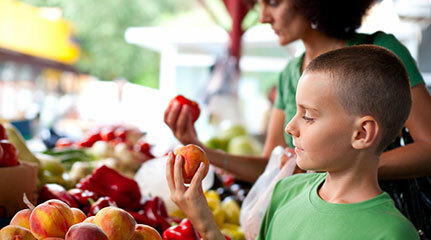 For a casual afternoon lunch, the Indian Gardens Market is our favorite. Granted, it's exposed along 89A towards Slide Rock, so the market does get some traffic. But the garden patio in the back of the market is quiet, peaceful and beautiful. The Indian Garden makes really good, fresh sandwiches; the wine and beer selection is well stocked; and your dog is allowed to sit in the garden with you while you enjoy your serene surroundings and tasty lunch. Since we're on the topic of food, Oak Creek is Northern Arizona's favorite place to pick blackberries during the later months of the summer. After the monsoon season, the creek is flowing and the blackberries get juicy and ripe. Many local restaurants start serving blackberry pies and cobblers. But you can pick your own and make your own tasty desserts. There are several spots that locals call their favorites. Ours is about 1.5 miles north of Slide Rock. There is a private residence with a big letter "R" on the gate leading to the home. Just to the left of the gate is a discrete trail down to the water. Parking is on the east side of the road, and there is only room for two vehicles at most. If you've never picked blackberries before, this is your warning: blackberry bushes are extremely prickly. Make sure to wear clothing that will protect your legs and arms from being poked and scraped. But in the end, you'll be very happy with your blackberry booty. At first glance there appears to be little going on at night in Sedona, but a little searching in a local newspaper will turn up something—usually with a typical Sedona flare to it. On the full moon there's usually a drum circle at Cathedral Rock, and there's also a monthly dance party somewhere with Mixtress Hava (you can find her on Facebook). Just about every night there's a bar somewhere in town that offers karaoke. Be on the lookout for dates for the Sedona Film Festival and the Jazz festival. And if you like music or eclectic films watch for events at the Mary D. Fisher theater and the Sedona Performing Arts Center. Of course the best wildlife viewing is at the coffee shops. Just sit back with a warm coffee and you'll hear all sorts of interesting tales. 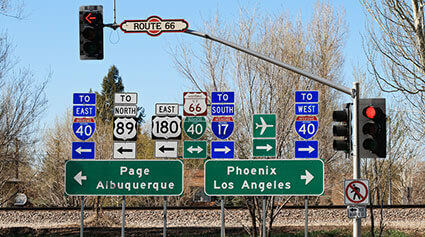 Most people in town are transplants and everyone loves to tell their story of how they ended up in Sedona. Some will tell you how to get to the Stupa, or a seldom visited Sinaguan ruin, others might direct you to a local winery or suggest a daytrip to Jerome. We recommend getting a pint at the Good, Bad and the Ugly Saloon when P.K. and the Spanking Machine is playing. Plan on staying a few days and slowing down and you'll uncover your "hidden Sedona." Come fly the Red Rocks! Take an "Aerial Nature Walk" which is a truly magical feeling of soaring gently with the wind. Sedona's natural wonders and wildlife sightings will delight you. After your sunrise flight, relax at a traditional champagne picnic with a continental breakfast. Free video. Perfect flying record. Flagstaff Extreme Adventure Course is an elevated obstacle course set in the tall Ponderosa Pines. It is securely suspended between the trees at 15 to 60 feet off the ground. At Flagstaff Extreme, we believe the best family memories are usually ones that take place outdoors, so bring the entire family! There are 5 adult courses and 1 junior course with obstacles ranging from tarzan ropes, to wobbly bridges, swinging logs, cargo nets, ziplines, and even an aerial surf board! Come Play in the Trees and explore the outdoors like you never have before! To see our availability or book a reservation, check out www.flagstaffextreme.com or give us a call at 888-259-0125! Take a fall hike with us! A few things about how we operate: 1) first all of our day hikes are private; we do not combine groups. That allows us to focus on your ability and your expectations. 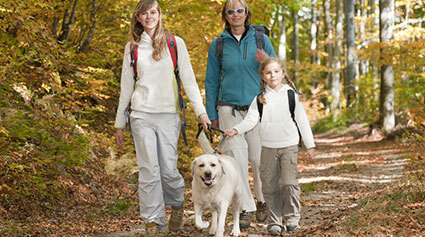 That might be a short family hike, an all day march or any number of unique experiences we can deliver. 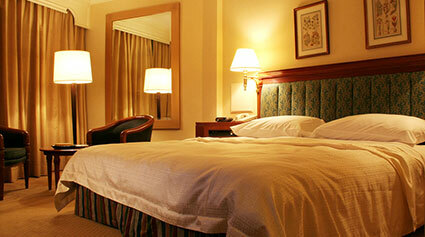 2) Once we receive a reservation from you online we assign a personal guide to you and your group. The guide will be in touch to discuss your exact hike needs and expectations and he/she will then build out a day to match. 3) Our start times are variable – we do our best to coordinate with you and your schedule. Book this tour with Viator. 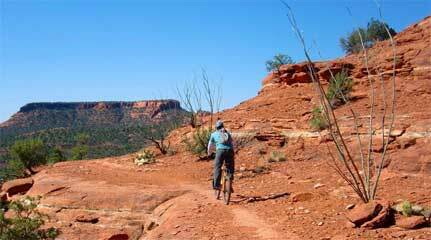 This is a perfect tour to take when you first arrive in Sedona. On this 2 1/2 hour tour, you will learn about the history and geology of this amazing area. You can shop for Native American jewelry and crafts, discover Sedona's unique vortex sites and get some tips on the best shopping and dining in town! Experience the wind ripping through your hair on a thrill ride over nature's wildest predators. Enjoy the adventure of a lifetime on a world-class zip line over Out of Africa Wildlife Park in Camp Verde Arizona! 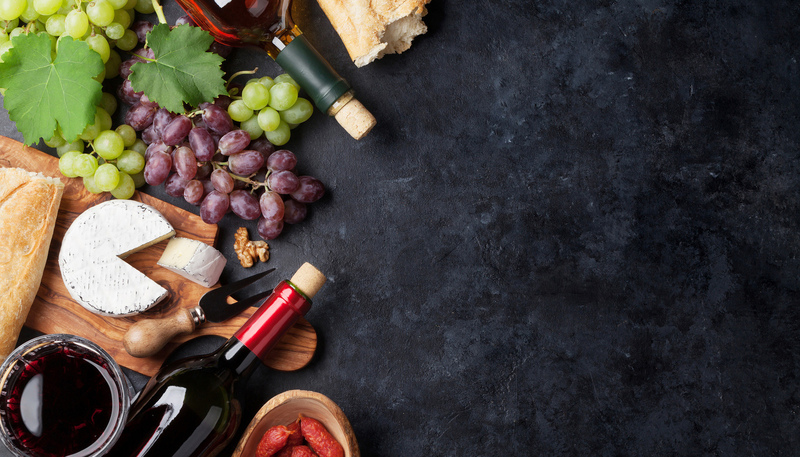 We are conveniently located less than 20 miles from Sedona, in the heart of Northern Arizona's wine country, just minutes from tasting rooms and vineyards. From the top of the towers, you can see majestic red rocks, the San Francisco peaks, and the whole breathtaking Verde Valley including Cottonwood, Clarkdale and Jerome. Come join us for a Zip Line adventure that you'll never forget! Ride the most exciting zip line ever devised, over Out of Africa and soar over Lions, Tigers, Wolves, Hyenas, Bears, Jaguars and other natural predators! 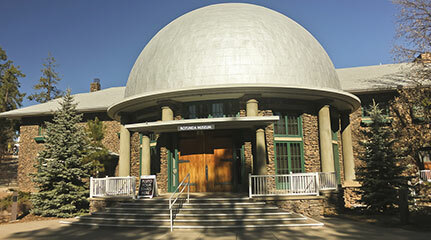 Sedona Arts Center is a rich legacy of the founders' vision. As one of Northern Arizona's oldest 501(c) 3 nonprofit organizations it continues to be a gathering place where artists and those who love art can explore, teach and exhibit. The Arts Center has grown into an educational institution dedicated to nurturing creative discovery, learning and sharing through arts education and artistic development with an international presence. 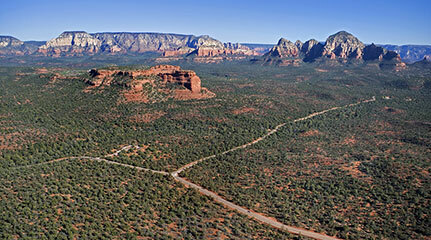 Choose Sedona to be your northern Arizona home, from where you can launch a myriad of day-trips and excursions. Our Sedona Event Calendar is full of festivals, workshops, art fairs, concerts and classes. Browse or add your event.